The Cornhusker State was first settled by Amish in 1880. Settlement since then has been sporadic and sparse, with just a handful of Amish living in the state today (for the ultraconservative Pennsylvania group also known as “Nebraska Amish”, go here). Amish are found in two locations in Nebraska: near the towns of Ewing and Orchard in Antelope County, and near Pawnee City in Pawnee County. Amish in Antelope County farm and supplement their income in other ways, including by making quilts and raising animals (“Amish family finds peace and quiet in Nebraska”, Lisa Wuebben, Omaha World-Herald, August 8, 2010). The community was one church district in size as of 2011 (read more about Amish furniture in Nebraska). A second community was founded near Pawnee City in Pawnee County in 2011. Like the Antelope County community, the Pawnee City community was started by Wisconsin Amish in search of cheaper land. Amish had previously lived in the area, before leaving in the early 1980s, due to restrictive laws over schooling (“Old Ways Return to Pawnee City; Amish Moving Back In”, Paul Hammel, Omaha World-Herald, April 19, 2008). The Pawnee City community is also a single congregation in size. The Verdigre area (Knox County) was home to another Amish settlement founded by Amish from Michigan in 2003. The pioneer couple, Eddie and Mattie Petersheim, were profiled in a newspaper article shortly after arriving in Nebraska. The Petersheims sought land in a less-populated area, as their home community of Marlette, Michigan, had experienced crowding due to its proximity to the city of Detroit. A number of newspaper articles written about the couple note their unusual occupation of running a restaurant over an hour’s drive from their home. Other Amish, including relatives, joined the Petersheims in Nebraska. The Verdigre community survived five years, and was reported extinct in 2008 (Amish Settlements Across America: 2008, David Luthy, p.4). However, there have been indications of some Amish currently living in the area, either remnants of the original settlement or a new group that started a fresh settlement following the first community’s extinction. Amish first moved to Nebraska in 1880. A group led by Bishop Yost H. Yoder (arriving from Juniata County, PA) settled near the town of Bertrand in the south-central Nebraska county. This community never grew large, with historian David Luthy noting that it never totaled more than about a dozen families in its near-quarter-century existence. The settlement battled drought and poverty. A number of the settlers built sod houses before later building frame ones. With Bishop Yoder’s death in 1901, the extinction of the community was hastened, and the last Gosper County settlers moved away in 1904 (The Amish in America: Settlements That Failed 1840-1960, David Luthy pp. 270-6). As noted above, today’s Pawnee City settlement is not the first Amish community to exist in the area. 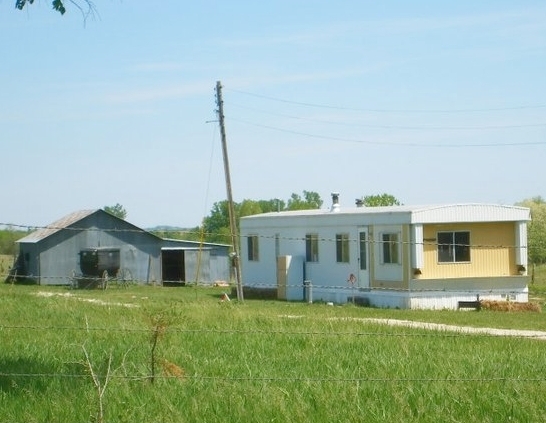 The original Pawnee City Amish settlement was founded in 1977. At the time, local officials required the Amish to employ a college-educated and certified teacher at their school. Rather than become involved in a court dispute, Amish from this settlement disbanded, with the families having all moved to other states by 1982 (“Appendix: Amish Migration Patterns”, The Amish Struggle with Modernity, David Luthy, p. 246). The term “Nebraska Amish” is in fact more commonly used to describe a group living well outside the Cornhusker State. The term came to be applied to an ultraconservative affiliation of Amish which formed in Mifflin County, Pennsylvania in 1881. A fledgling conservative-minded group wrote to Yost H. Yoder, an Amish bishop living in the Gosper County, NE settlement. Yoder responded to their request for help, traveling to Pennsylvania to help organize the new church. Later, members of Yoder’s own Gosper County church joined the Pennsylvania group, which took the nickname “Nebraska Amish” due to their Nebraska ties (A History of the Amish, Steven M. Nolt, p. 243-6). Nebraska Amish are today found in two communities in Pennsylvania–the largest, by far, being the settlement in Kischacoquillas Valley, more commonly known as Big Valley–as well as in one small settlement in Ohio. Today, the Nebraska Amish are known as being among the most conservative of all Amish. 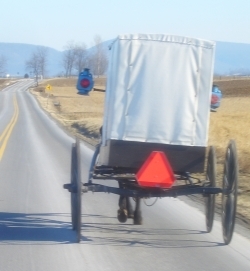 Nebraska Amish use characteristic white-topped buggies and minimal technology. Read more here on the Nebraska Amish affiliation. For many years, the term “Nebraska Amish” has more readily meant the conservative affiliation found mainly in Pennsylvania’s Big Valley. However, as we have seen renewed Amish settlement in the Cornhusker State over the past decade, the term has taken on geographical meaning again. The Amish population in Nebraska remains low. But with the tendency of Amish to migrate for various reasons–including overcrowding, economic betterment, and church issues–it’s quite possible more Amish will hear the call of the breadbasket state, with its vast tracts of relatively empty, inexpensive land. I grew up in Lincoln so this article was very interesting to me. I’ll have to keep an eye out as we travel back there next month for a family reunion! Darlene – the Amish community picture here is in an area a bit east of Pawnee City up north to Table Rock. The community is pretty easy to find…if you go into town and go into the grocery store the folks there will give you directions on which road to take off of Highway 8 (I apologize I don’t remember the name of the road anymore). As an FYI, this community is very small compared to the larger communities in Elkhart/LaGrange, Lancaster or Holmes County. Essentially, there really isn’t a tourist industry geared towards experiencing the Amish. There are no Amish restaurants, stores selling crafts or other businesses geared towards tourists. There was a small Amish sundry store (the “Pawnee Kuntry” store) and a few other locals selling eggs and produce from their farms. However, there is a farmer’s market in Pawnee City on Wednesdays during the summer from 4:30-6:30 and according to some of the locals the Amish will come into town and sell eggs, produce etc at the market. Hope this helps! It’s definitely worth going down on a short day trip, but if you get a chance someday save your pennies to visit Shipshewana Indiana or Kalona Iowa which has a bit more to offer for tourists. Two Amish stores use the word “Kuntry” in their name. I arrived at the Kuntry store that sells salvage food items. One young Amish guy told me this is referred to this as the “Bent & Dent store.” It is located on the East side of North Hwy 50, across from a big business, CJ Foods. The Kuntry Variety Store (the one with the picture at the top of this page) can be found by going East out of Pawnee City on Hwy 50. Turn North on the 626 Road. You have to go some 4-5 miles up and it will be on your left. The store is out on the farm and the inside of it is only maybe 15′ X 15′ foot. Not many items, but I still bought a few things. It was way late when I got to town so didn’t try to find the third Amish business, which, if I understood right, is just North of the “Dent & Bent” store. It’s suppose to have Amish furniture. Tom (Mr G), thanks for this update 🙂 Not a big community but I bet it will come in handy for anyone in the area looking for one of these businesses. Speaking of which I need to figure out how to do a Nebraska-Kansas-Oklahoma Amish trip one of these summers. Hey Beth – I didn’t have too much of a problem finding the Pawnee County bunch. It was well worth the trip down there…not a ton of businesses yet but there seems to be indication from the locals that the community down there continues to grow. Apparently every Wednesday in Pawnee City there is a farmer’s market where the Amish come in to sell veggies and other items. I’m from Lincoln area myself…always nice running into Huskers on the net and in real life! Great to see another Lincoln resident that is interested in the Amish. I hope to ride my bike down there next summer and meet some of the nice Amish folk. Lindsay I appreciate your help on this article, and of course for the rare Amish-in-Nebraska photos! Thanks again. Te nada…I enjoyed it and it gave me an excuse for a road trip! If they stick around will we have to give this group a new moniker as Nebraska Amish is already taken? I liked Erik’s Cornhusker Amish suggestion…or perhaps Big Red Amish (we can hope they change their buggy color to scarlet red lol). Coining them as “cornhusker amish” would to outsider eyes appear to be a slight against them. Not everyone in the US and abroad know that the cornhuskers are the local college team that Nebraskans go insane over. Nebraska is known as the Cornhusker State, and…we’re just having a little fun here. They’ll be okay. I drove through Pawnee City for the first time yesterday on my way to Kansas City from Omaha. I couldn’t believe my eyes when I saw the buggy signs – I had no idea there was an Amish community in Larry the Cable Guy’s hometown! Lol! We saw a few men in town but did not see an actual buggy. I can’t wait to drive back through and maybe see more signs of this community. My kids and i are fascinated! Drove to Pawnee City looking for the Amish Community. I was able to find a large farm 4.5 miles east of the center of town off HWY 50. Turn left and they should be approximately 1 mile down the road. The amish are great people, spent some time getting to know a couple (Barbie & Angus) in Lancaster, PA last year. In NE there are way too many things with the moniker “cornhusker”. When I first moved to NE I thought that they were advertising gum. Big Red is a chewing gum and when I mentioned it… Many of my new native Nebraskan friends were unaware. Now, to the Amish. Coining them as “cornhusker amish” would to outsider eyes appear to be a slight against them. Not everyone in the US and abroad know that the cornhuskers are the local college team that Nebraskans go insane over. I’m from NC, aka the Tar Heel State. The Tar Heels, of course, are the mascot for one of our better-known universities. When you’re writing, using “Tar Heel” as a sub for “North Carolina” is nice for the sake of variety. Maybe I am not aware of local Nebraska uses and connotations, but I don’t see an issue with doing the same thing with other states’ nicknames. LOL, no no no don’t get so worked up! I think the main reason calling them “Cornhusker Amish” is to differentiate them from an Amish sect actually called “Nebraska Amish” that live in Pennsylvania. It’s true though, lots of local business are “Big Red” this or “Cornhusker” that. Some of the earliest settlers in the Pawnee City and surrounding area were German Baptist Brethren, an anabaptist group with ties similar to the Amish. Over the years, these people were scattered to other communities in states such as KS, CA, SD, and CO.
A good number of the early Brethren in that area came from MO, particularly Gentry County. Some of their descendants still live in that area but have been absorbed by mainline denominations. Really tough to get to know these people in so short of time. I did find more smiling friendly people than what I assumed I would. I was expecting stern somber people. It appears most of the Amish who moved into the Verdigree , NE area have given up and moved to greener pastures. Wonder how often Amish communities are started that fail? One family at Tripp, SD has also sold out and moved away, selling the farm to an “Englisher” who has installed electric lights. The Amish still live in Verdigre. They haven’t left from here. Kathy, do you know how many families? And are they Old Order (horse and buggy, plain clothes, etc) Amish? Hi i used to drive truck thru Orchard and Ewing Nebraska and at some point in my driving there were at least two or three horse-drawn buggys on hyway 20 I always gave them courtesy and the rite away and ive only stopped once to help them with a wooden tire Very respectible people and i greatly admire their ways so i think that there a small possibility that there may be a small colony in western nebraska im just not sure how many there is. Hope this was somewhat helpful. I get a kick out of seeing the horse and buggies and talking with the Amish. Thanks for posting Casey! I may have this all wrong, but you posted in the state of Nebraska section for Amish communities. Since you say your moms side of the family was in PA and then NY I think you would have more luck by going to those two state listings and posting. My grandfather and his parents were part of this Nebraska Community. I hope to visit the cemetery in a month when we travel through while moving my daughter to NM. The Amish in Pawnee City Nebraska are running their 3rd annual consignment auction May 18th. The money they raise goes for the 2 Amish schools that they have. They could really use the support if you or your friends are in the area. It will be at the Kuntry Discounts Store (the “Bent & Dent” store) May 18th. 2013. Feel free to email me if you want a flyer for it. My apologies if this should not go here. Feel free to delete. My famiy is participating in this auction and I have been trying to get a hold of a flyer for this – could you email it to me? Would be greatly appreciated! I don’t have access to anyone’s email address, unless they post it, like I did mine above and below. Feel free to email me. So sorry I missed this! We are in Hastings, NE and I am very interested in driving over to see the Amish community near Pawnee City. Any advice? What kinds of things were you able to see while down there? 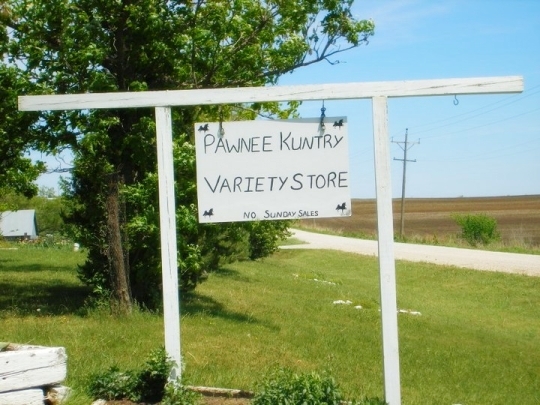 The first place I would stop in Pawnee City would be the Kuntry Discounts store….71070 Hwy 50. Then you might want to try Troyers Greenhouse and store, 71524 622 Blvd. Someday I should make a decent list of the other Amish places there too. The Bishop has a small store and it’s worth at least one stop to see. 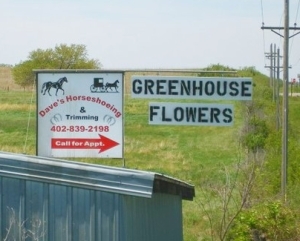 There is another greenhouse owned by the daughter and son-in-law of the people that own the Kuntry Discount store. There is a guy that builds cabinets and such too but his shop didn’t have anything to buy when I stopped there. Hi Vanessa, I was just there in May (missed the sale by a week!) Honestly, there isn’t really enough there to warrant a trip by itself…it is still pretty small. However, it does seem to be growing and even more firmly established than when I was last there 2 years ago. There were a couple homes under construction and a few new homes that have been built since. Anyways, if you go down to that area you aren’t far from Arbor Lodge in Nebraska City, Indian Cave State Park etc so it would probably be a nice stop on a weekend trip to or from those places. I have a friend that is mennonite, and never knew much about it, but after watching the TV show on TLC and then reading some books it make me want to find communities here in town. I would love to learn more about the amish! A Amish brother and sister in a buggy were hit from behind yesterday, on their way to church in Pawnee City, Nebraska. (7-21-13) The boy was killed and his sister is in the hospital fighting for her life. The boy, Ruben, and his younger brother Ben were the first Amish people I met in Pawnee City. Their family owned the Kuntry Discount salvage “Bent & Dent” store. I just saw the family at a school fund raising meal Friday the 19th.. The newspaper account below does not tell you that the English person that hit them was also at the fund raiser. I have visited those that have come to be by the side of Fannie a couple of times today and they seem to be holding up. Makes a person reflect on life. This is terribly sad news. My prayers will be with Fannie and the family. If there is anyway that you can relay that people are praying for them across the state, I hope it would be of comfort to them. I wonder if there is a way to raise money for this family as their expenses will be great. I am just assuming that the lady that hit the buggy will have had insurance that will end up paying the bills. Amish people self-insure and so they get money from the local church district and probably from others as well when times like these hit. Though I assume they would never ask English people to help them, the store address would probably be a place a card could be sent. I’m from the Finger Lakes Area in Puleney, NY. We have had about 5 or 6 families of Nebraska Amish move in near me. I thought they were different from the nearby Amish in Wheeler, NY, after reading comments this explains everything. I have been sharpening Sawmill Bandsaw Blades for him, his Last name is Yoder. They are very nice people and we help them out when ever we can. From what I understand the cost of property and leasing property in Miflin Cty PA. for farming has sky rocketed and they could no longer afford to live, practically forcing them to leave the area. The Amish Communities have had several accidents and near misses with horse/buggies and vehicles. Although they don’t like to put reflector and lights on there buggies its a must especially in the dark. The Mennonites from Penn Yan area all put light on there buggies but, the Amish are little more hard headed about putting lights on there buggies. Nebraska Amish doesn’t necessarily mean they come from Nebraska. They may have at one time. See this site below for more details. As far as Amish last names go, “Yoder” must be at the top of the list for common last names. In Pawnee City Nebraska they have 4 Yoder families, and none of them are related! Last summer we heard the Amish in Pawnee were having a big auction there. We went , it was in a huge field and thy had everything you could imagine there. It was a fun day. Had lots of good food there for breakfast and lunch and got to visit with an Amish lady from around Wichita, KS that was there visiting family. She had four or five of the best behaved kids I have ever seen. I’d love to go there again this summer if they have it again and can find out when it will be. Last year it was on Saturday May 18th. I would guess it will be on Saturday May 17th this year, but have not seen it listed yet. I will try and post a message about it when I see it. BTW…the family that has the land where the auction was at last year is the family that lost their 17 year old son to the car/buggy accident in July 2013. Their daughter was hurt real bad too but has made a darn good recovery, considering how bad the wreck was. What is 'Bent and Dent'? I had a friend mention she had been at a Mennonite ‘scratch & dent’ store in another state and wondered if this family’s store was similar? We are from Omaha and will be making a few road trips in the spring and wonder when the auction will be, too. Thanks for all of the information and best wishes. “Bent and Dent” means a salvage store. I would assume that “scratch and dent” is another cleaver name for the same thing. As I stated right above your post, I do not know yet the date for the Pawnee City auction, but last year it was around May 18th. You might want to consider going to one of the Amish auctions in Iowa or Missouri as well. Jamesport Missouri has one that will run July 3rd, 4th and 5th. 2014 (don’t quote me) Seymour Iowa has one too, can’t recall the dates. I live in Lincoln and only know about a couple of these. You might want to put a post in the Iowa and Missouri state listings here on Amish America. You might indicate how far you would be willing to drive from Omaha. March 12th & 13th 2014 I to see if I could find some of the Amish in Northern Nebraska. I also diverted to Tripp South Dakota to see the Amish there…. the only Amish group in either of the Dakotas. I must admit that I did not take notes as well as I should have. I sat with the Amish woman (and her husband) that write for The Budget Amish newspaper. I can’t find my notes as to how many families belong to their one church district, but I remember that they do meet on the last Friday of each month for a fund raiser/benefit meal. It sounded like some 30-40 attend this. They happen to have a little store out of their place too. Eddie and Mattie Petersheim still live here. They have been there now about 11 years. There are only a total of 4 families that belong to this group. They have been trying to get more Amish families to come there but Eddie tells me lots of Amish do not want to move to a new location unless there is already a church group there. (Bishop, Deacon, Preachers) One other thing, at some point in time Eddie started to use a tractor, which some would make him New Order Amish, but when I said that to him he said they don’t consider themselves New Order. Eddie has a little store that they mainly sell to other Amish, but is open to the public as well. I really enjoyed my visit with him. There are also Swartzentruber Amish in Verdigre. Mary, the Amish woman that writes for the Die Botschaft Amish newspaper, told me there are some 12 family’s there. It sounds like the interact some with the Petersheim group and those out of Orchard. I had a fun time talking with her and others in her family the day I was there. They sell some eggs, hand soaps, rugs and some dry goods. Before leaving they gave me some fresh sausage to take with me. =) Stop there is you get a chance. So, this area is not dying by a long shot. They carry driving and riding tack and equipment. Neat! Pawnee City Amish business’s seem to be growing some. (or at least I was not aware of some of them before) There is also people that sell some herbs and healing tools and another business that makes up cedar furniture. I need to get back down and try and get a list of all of them to post. Thanks for the info Erik! (whomever gave Erik the details could you please email me? Thanks! Pawnee Kuntry Variety Store now just sells dry goods and glassware. Bulk groceries are now sold at L’s Bulk Goods which is 1 1/4 miles south and 3/4 of Pawnee Kuntry Variety Store. It is very small, but is a place where you can pick up baking goods,a few sewing notions, and some baking equipment. In the same yard as L’s Bulk Goods, is a larger building where the father makes buggies. On the same road as the cabinet shop, a man, Toby Miller, makes woven rugs on a loom for sale. None of these business have signs by the road yet. Nebraska Amish dress the most conservative of all Amish groups. Their dress is quite different from other Old Order groups. Men are known for not wearing suspenders, trousers are laced up in the back instead. Men also wear white shirts, brown denim trousers and jackets and hair at shoulder length. The hats of the men are very broad brimmed. Women do not wear bonnets, wearing black kerchiefs and flat straw hats instead.